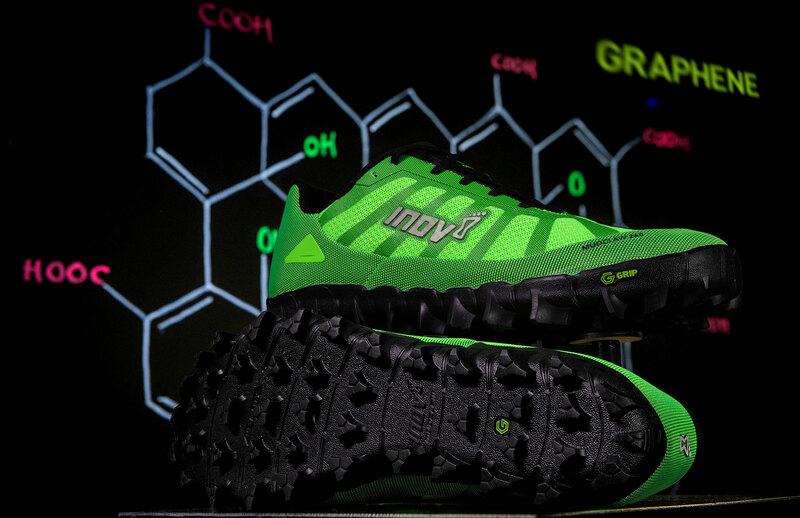 The world's toughest shoe for the world's toughest muddy mountain runs and obstacle course races. Revolutionary graphene-enhanced rubber and fearsome 8mm studs deliver the world's toughest grip over soft and wet ground. New super-strong upper materials give high levels of durability and breathability to a shoe weighing just 260g. Kevlar® aramid fiber has been added to the tongue. The MUDCLAW G 260 - Designed to make light work of all tough mud. Comes with an integrated gaiter to help keep debris out of the shoes. New EXTEROFLOW midsole absorbs, stores and then releases energy to propel you through the gait cycle. 4mm drop promotes a better natural form for the athlete with a medium range of motion in the ankle joint, reducing tension on the achilles and calf. The world’s toughest shoe for the world’s toughest muddy mountain runs and obstacle course races. Revolutionary graphene-enhanced rubber and fearsome 8mm studs deliver the world’s toughest grip over soft and wet ground. Upper materials give high levels of durability and breathability to a shoe weighing just 260g. The MUDCLAW G 260 - Designed to make light work of all tough mud.